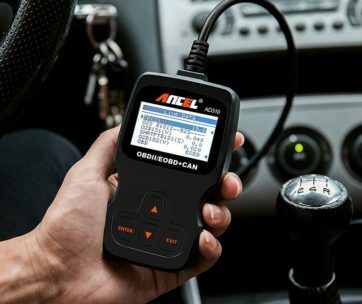 The tire inflator market can be tricky and confusing when you set out to find the Best 120v Tire Inflator for your car. Do not fret, here at Ultimate Rides we have you covered with a list of the four best tire inflators available on the market. Before you even begin to look at tire inflators, take some time to think about what you want out of an inflator. With so many options, it is beneficial to have an outline of requirements to help narrow down your list! That way, you can guarantee a purchase that fits your needs. Do you want a tire inflator that is easy to transport and move around? Do you want a tire inflator that gives you the highest amount of PSI or pounds per square inch for optimal power? Or do you want a tire inflator that is going to be quiet and won’t disturb your neighbors? 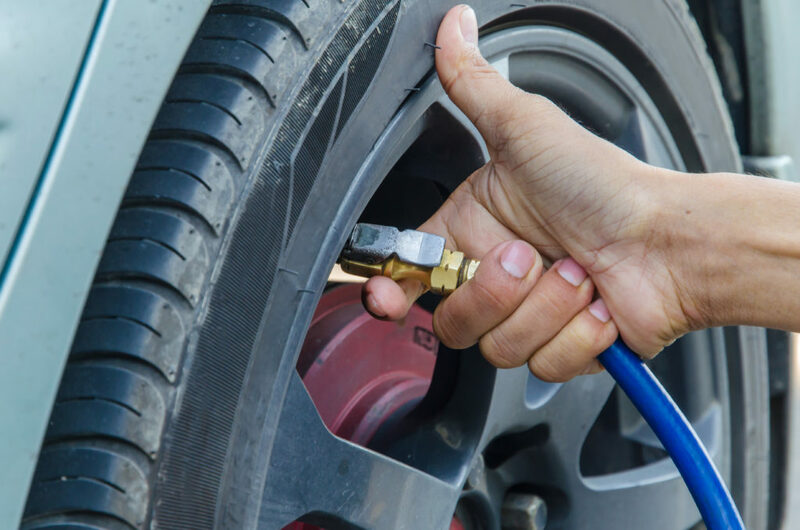 These are the questions that you should ask before you set out to buy a tire inflator. To get all the tire inflator help you need, check out our list of the four Best 120v Tire Inflator. We guarantee that you will find a great 120v air compressor that you like. Furthermore, you get to save plenty of money on a nice 120 volt air compressor at the same time. Now, here are the four best available 120 volt tire inflators that you can buy today! The final spot on our list of the four Best 120v Tire Inflator available on the market is the Porter-Cable Pancake Compressor. The pancake design is more unique than traditional amongst the other tire inflators. However, the pancake design serves a purpose as it provides stability while you inflate your tires. Anyone that prefers to be low maintenance needs to check out the Porter-Cable tire inflator. Thanks to an oil-free pump, this tire inflator is going to have great longevity with very little to no maintenance. Wrap up the cord of this inflator with ease by using the included cord wrap. This inflator packs a lot of power for its size with 150 maximum PSI while weighing just 30 pounds. Plus, a handle and console cover both help protect all of the vital parts inside and make this inflator incredibly easy to carry. If you want an inflator that provides longer run times by storing more air in the tank then check out the Porter-Cable inflator! 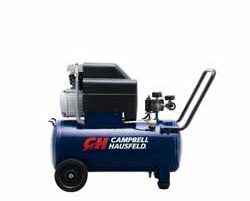 Coming in at number three on our list of the Best 120v Tire Inflator is the Campbell Hausfeld 8-Gallon Air Compressor. While this compressor is pretty versatile, if you focus on using it as a tire inflator it has impressive capabilities. The 125 maximum PSI offered by this inflator is going to inflate just about anything you put in its path. The horizontal design is a more traditional construction for a tire inflator. This allows for the inflator to be stored right under a workbench in your garage or workshop. Plus, this design also allows for it to easily maneuver around your garage and car. The handle and rear wheels help you move around this tire inflator with very little effort. When you need to fill up all four tires on your car, this type of movement is bound to come in handy. Plus, an oil-lubricated pump helps this tire inflator have a long lasting life and be incredibly durable as well. If you crave using a traditional inflator, then this might be the Best 120v Tire Inflator for you! One of the Best 120v Tire Inflator on our list is the Goodyear i8000 120-V Direct Drive Tire Inflator. This inflator boasts a 1-foot rubber air hose, a 6-foot power cord, and a 17-foot PVC air hose with a quick connect valve for easy setup. The Goodyear i8000 is only 8 pounds and manages to offer up 150 max PSI. So you do not have to sacrifice power for size with this tire inflator. You will also have access to versatility thanks to an inflation adaptor that can work with different kinds of tires. One of strongest reasons for the Goodyear i8000 Direct Drive tire inflator ranking amongst the Best 120v Tire Inflator deals with sound. The innovative Whisper Soft technology has been integrated into this inflator. As a result, this inflator can offer some impressive inflation capabilities while staying quiet. The Whisper Soft technology also prevents the Goodyear i8000 from vibrating obnoxiously. Plus, it also has a fairly reasonable price. If you hate how loud a tire inflator can be, then this could be the best fit for you. One of the Best 120v Tire Inflator out on the open market is the Viair 78P. This is the tire inflator for the common driver that wants a reliable and easy to use inflator. 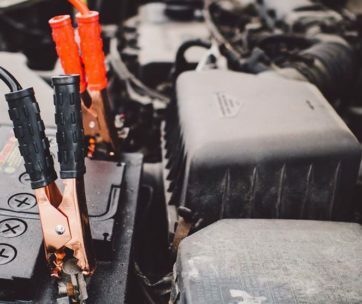 The Viair 78P can operate for 30-continuous-minutes when fully charged which will allow for you to fill up four different tires in one full sweep. You can use the 45-inch air hose to easily reach your tires. The included 16-foot power cord can connect with your 12-volt power outlet right inside of your vehicle when you are away from home. If you ever need to inflate your tires lat night then you can use the included LED work light. An illuminated work display keeps you informed on the inflation process as well. However, the most impressive aspect of this tire inflator is that it can be carried around thanks to a lightweight construction. You will not have to roll it around on the ground to fill your tires. Keep in mind that if you want a high-powered inflator you may want to look elsewhere. The Viair 78P only offers 80 max PSI so it cannot be used on commercial trucks or RV’s that require high-pressure. Are you looking for versatility in your new 120 volt air compressor? Do you need a good 120v air compressor that you can take on the go? If your answer is yes then you are in the right spot. This Superflow portable tire inflator is absolutely amazing. First and foremost, this is a super lightweight and compact inflator. Thus, you can store it away in your garage while not using it. Furthermore, you can then take this tire inflator anywhere. That way, you can fill up your tires with the best 120v tire inflator while on the move! That compact design is crucial for storage. Put it right in your trunk without any problems. The easy to use design is great for everyone. Plug the tire inflator right into an electrical outlet. Lucky for you, the 10-foot power cord is going to stretch and reach multiple areas. Best of all, there are multiple adaptor nozzles. 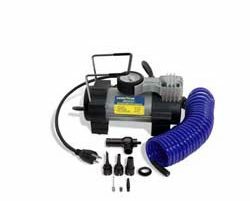 Thus, you can buy a very versatile 120 volt air compressor without spending too much money. Buy yourself a great 120v tire inflator today. First and foremost, this is an incredibly powerful 120V air compressor. Therefore, if you want premier power stop right here. You can buy this 120 volt air compressor and call it a day. Plug it right into your wall in the garage. Then, pump up your tires in just a few minutes. You can go through each tire in a very short period of time. After all, no one wants to spend too much money on their inflators. This is not wise and does not end well! An oil-free pump performs well and is also built to last. Oil can cause damage over time and needs to be cleaned. However, an oil-free design is going to last for a very long time. Best of all, the efficient motor is going to start in all types of weather. Even when it is really cold outside. Also, customers will certainly love the 78.5-decibel rating. This gives you a quiet operation so that you do not wake the neighbors and everyone in your house! Customers that want the best storage for their tire inflator are in luck. This is definitely the most convenient 120 volt air compressor on the market. First and foremost, the convenience all comes from the wall mount design. Place this right onto the wall for a great set up. Thus, you do not need to move this tire inflator out of the way when not in use. It just stays right on your wall, ready to go whenever needed. Get yourself one of the best 120v tire inflator available. An easy to use handle is great for convenient movement. Also, the plastic accessories case is great for storage on the go. Store it away in the trunk of your car while on the go. Then, inflate your tire in an impressive span of four minutes. We guarantee you will be really happy with the results. This is surely one of the best 120v air compressors for you! Do you need a good 120 volt air compressor that is good for just about anything? A versatile and flexible 120v tire inflator that can get the job done? Look no further if your answer is yes to either question. This is the perfect 120v air compressor for cars, SUVs, trucks, motorcycles and more. However, you can even use it on air mattresses, rafts, beach balls, sports balls, and bike tires. Get yourself a great 120 volt tire inflator that can do it all! Some customers live life on the go. On the other hand, some customers want to prepare for anything and everything. Both customers need the best 120v tire inflator that can move with you. Luckily, the small and lightweight design can fit right into your trunk. Throw it on while you are on the move to get the best results. Fill up your car tire when you notice it is low! Campbell Hausfeld is one of the best tire inflator manufacturers on the planet. So it makes sense they are all over this list. After all, they certainly create some of the best 120v tire inflator products and so much more. Now, this is a pancake design. It is sturdy and incredibly reliable. Plus, it is quite powerful and can take care of business. But, it is a bit clunkier than other options. Thus, storage can potentially be difficult over time. Be sure to weight out what you want in the buying process! Do not let the pancake design scare you away. Luckily, the sturdy handle makes it easy for you to carry. Furthermore, it is much more comfortable to carry as well. after all, you do not want to strain yourself trying to move this inflator around. 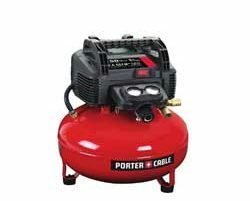 Instead, get yourself a great 120 volt air compressor that is easy to move and more. The best 120v tire inflator is always the most convenient tire inflator! Do you value convenience? If you do then you need a great tire inflator that is small. After all, a big tire inflator is going to take up some room in the garage. Furthermore, it is not easy to store away and deal with. Therefore, you need this little Husky 120V inflator. We truly believe this is one of the best 120 volt inflator options on the market. You get premier performance in such a small little package. 120 volt tire inflators are usually bulky and obnoxious. While mechanics love big tire inflators, not everyone feels the same way. Thus, average and casual drivers need something a little bit smaller. That way, you do not have to move a big, bulky 120 volt air compressor every time you fill up tires. Always think about what you want while you search for the best 120v tire inflator on the market. You can use the best 120V air compressor to quickly fill up your car tires with little to no effort. Make sure you determine what type of tire inflator you want before you go out to buy one of the Best 120v Tire Inflator for your vehicle. Take some time to reread our list and visit our site for more information on tire inflators. If you need an easy to move 120 volt tire inflator, get one of the Best 120v Tire Inflator that is compact. However, if you need a powerful inflator then find one that has enough PSI for your needs. It is not easy buying parts and pieces for your car. Especially if you are not an automotive expert. Furthermore, finding the best 120V air compressor is incredibly difficult. 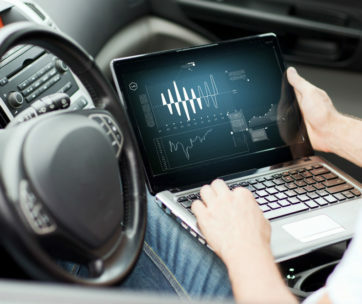 Lucky for you, The Car Addict creates all types of detailed buying guides for customers. Use all of the information and products in this buyers guide to your advantage. Then, go and buy the best 120v tire inflator on the market!